your beautiful and corporate occasions. As featured by Inside Out Magazine, Hunter Hunter + Newcastle Herald. We are two sisters who love to love, love to eat and create memories with food. We offer simple food, artisan produce and bespoke styling. From the moment you contact us we provide personal service and create something specifically for you and your occasion. Not one of our grazes are the same and we operate from a commercial kitchen and are registered, certified and insured to provide a quality and gourmet grazing experience. We provide gourmet grazing platters and tables for every occasion. We have a selection of platter boxes including breakfast, cheese, savoury, fruit, sweet, salad, wrap, rolls, make your own rolls + canape platter boxes made freshly from our kitchen that can be delivered straight to your event to be served and enjoyed upon delivery. 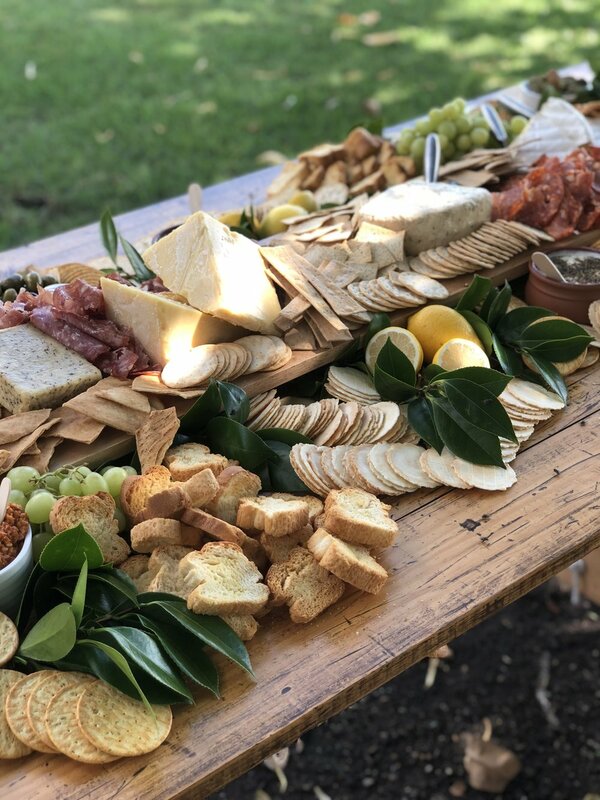 We create grazing tables for all events that include a selection of premium cheeses, cured meats, antipasto and savoury accompaniments and seasonal fruits. We also now offer sweets, canapes, salads and gourmet rolls in additional for all our grazing tables upon request. Each grazing table is created and styled to suit your event with you, for you. See what some of our happy grazers have to say about Sharp + Co.
All you need to do is complete the enquiry form by clicking the 'Get in Contact' button below or email us the details of your event and we will work with you to peronalise a quote! Be sure to include as much information as possible and view our Grazing Options prior to contacting us so that we can provide you with all your grazing options and pricing as soon as you contact us. We are currently servicing the Port Stephens, Newcastle and Hunter Valley Regions and depending on your location additional delivery fees may be charged, however this will be included in your quotation. We hope to create the ultimate graze for you. Sharp + Co caters for all types of beautiful and corporate events. We love what we do and the people we create grazes for.